Christian values, traditions, and terminologies that were once common knowledge have become a thing of the past. This book will help you understand how to effectively reach the lost with a message of salvation that makes sense. Why am I using such unusual terms? 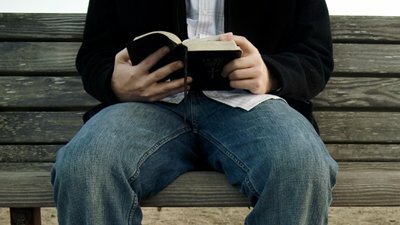 I believe such words can help show how vital it is for Christians to understand a massive problem we have in effectively communicating the gospel and the Christian worldview in our secularized culture. Now, if I told you that someone was out by the “black stump” and “stone the crows” and boil the “billy” and cook a few “spuds,” would you understand this Aussie slang? And if I said I was taking the “trouble and strife” and the “billy lids” out, can you guess what that means? As I found out when our family moved to the United States 31 years ago, American English and Australian English are two different languages! I had to learn the words Americans used so I could communicate better. For instance, I had to learn to say “dead battery” not “flat battery.” And “nursing a baby” in Australia means holding a baby, but it doesn’t mean that in America, as I embarrassingly found out one day! 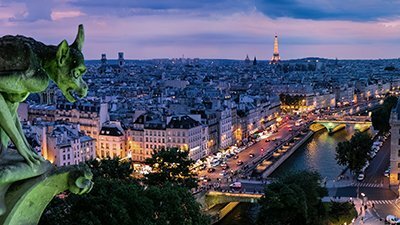 Today, we have an increasing language problem in regard to communicating Christian messages, even as we use the same words. It often occurs between the older and younger generations. Today, we have an increasing language problem in regard to communicating Christian messages, even as we use the same words. There’s a great divide in this nation. We are seeing a Civil War happening before our eyes. There’s an intolerance to anything conservative in the younger generations that we haven’t seen before. There’s definitely a growing communication chasm widening in America. From a big picture perspective, it seems to me there’s a division between the older generation (age 35 and above) and the millennial generation (born 1982–2002). My own observations (after extensive travel across the United States and much of the Western world) have led me to conclude that there’s a growing chasm in the West between our past Christianized culture and today’s very secularized (or “Greekized”) culture. It’s analogous to the way the Apostle Paul presented the gospel to the secular Greeks (Acts 17). More on that later. This difference of worldviews is also seen today in the various ways millennials interpret certain words and give them different meanings, as opposed to how past generations understood the terms! For instance, millennials can express themselves in what I call “millennial speak.” (Think “new-speak” from Orwell’s book 1984, where people would say one thing but mean another.) Those using “millennial speak” will claim they are tolerant of all beliefs, yet their “tolerance” often exhibits itself as being extremely intolerant of anyone who disagrees with them. Generations ago, if someone said the word God in a public school, most teachers and students would have immediately interpreted this word to mean the God of the Bible. However, when you say God today, the younger generation will interpret it by asking, “Which god?” The Muslim god, a Hindu god, a Buddhist concept of god—which god? Today the younger generation thinks in terms of many gods—and at the same time has been brainwashed to believe the Christian God is not allowed in the public arena! Generations ago, when someone used the word story in regard to an account in the Bible, people would not think of a fictional tale. They would understand a story in the Bible as an actual historical event. Some examples would include Jonah and the great fish, the Israelites crossing the Red Sea, and Jesus healing the blind man. Today, however, the word story in many peoples’ eyes (particularly the younger generation) means a fairy tale or a piece of fiction. So when you mention a “Bible story” in church, the younger generation doesn’t necessarily understand the word as meaning a real historical event—it’s just a story. This undermines the authority of Scripture. And then there’s another major problem in the culture! Increasingly, the younger generation is biblically illiterate. Many millennials who attended church as children or teens no longer go to church, and there’s a growing number of them who say they are one of the “nones.” Nones describe themselves as (supposedly) having no religion! In one of the most important messages I present in churches, I explain that the older generations grew up in more of what I call an “Acts 2” type culture. When Peter preached to the Jews as recorded in Acts 2, he concentrated on the message of the death and Resurrection of Christ. The Jews of Acts 2 believed in one Creator God and understood the origin of sin and death and the need for a Savior. Their stumbling block was recognizing Jesus is the Messiah. I then explain that the younger generation today is more like the Greeks in Acts 17. When Paul preached the message of the Resurrection to the Greeks, they didn’t understand it. In their culture, there were atheists, pantheists, polytheists, and so on, with temples and idols. The Greeks were essentially evolutionary in their thinking and didn’t have the foundational knowledge to understand the gospel. Paul had to define who the real God is and then give them the right foundation so they would truly understand the message of the gospel. We need to explain to them the foundation of the gospel and answer their skeptical questions so they will truly understand the message of the Cross. I suggest that the younger generation today is more like the Greeks in Acts 17 than the Jews in Acts 2. As such, we need (adding a new word to our vocabulary) to de-Greekize them. Meaning: we need to undo why they think the Bible can’t be trusted. We need to explain to them the foundation of the gospel and answer their skeptical questions so they will truly understand the message of the Cross. I call this approach “creation evangelism.” Many believers have told me that this method has changed their whole approach to leading Sunday schools and Bible studies and preparing sermons. 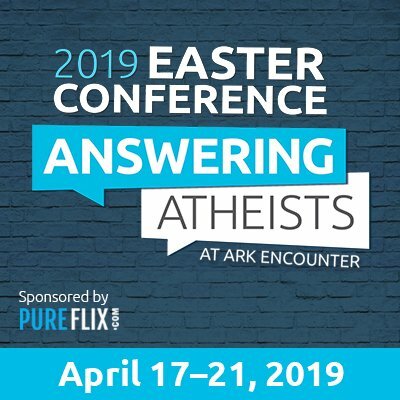 Pastors have told me that using “creation evangelism” to “de-Greekize”—i.e., teaching creation apologetics—is stopping an exodus of young people from their churches. I believe most churches are still stuck in an Acts 2 approach to evangelism. I’m so burdened about this problem that I have detailed the importance of using creation evangelism—and what this means within the context of the changing culture today—in a new book, Gospel Reset: Salvation Made Relevant available at our online store. The focus of my book is to teach people how to effectively share the gospel in a hostile world, just like Paul did in Acts 17, through the process of “de-Greekizing.” We must give non-Christians the proper starting point for their thinking. Without that correct foundation, they will never understand their need for a Savior. Order your copy of Gospel Reset: Salvation Made Relevant today, and learn how to effectively reach the lost with a message of salvation that makes sense. I urge you to make sure this book gets into the hands of every pastor, Christian leader, Sunday school teacher, parent, and young adult you know. 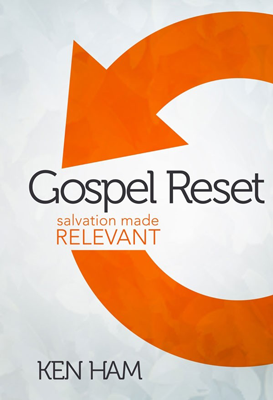 I truly believe Gospel Reset is a powerful challenge to the church, one that will be a wake-up call for many Christians to the huge changes that have occurred in the culture—and how to reach this world with the saving gospel. Once you read this book, you may want to order it in bulk from our online bookstore and hand them out to your church members, small groups, Christian schools, and others. Thank you for your help in proclaiming the creation-gospel message—in prayer, service, and financial support. At Answers in Genesis, we see the impact of our supporters, as they take the message of biblical authority and the gospel into their churches, small groups, neighborhoods, and families. Your support will help further AiG’s outreach efforts as we work to train the church, pastors, and other Christians through our various outreaches, including our speakers who bring this vital message to hundreds of venues both domestically and internationally. I pray this book is an encouragement to you and will help embolden you to share the gospel in a world that is increasingly hostile to the gospel and biblical authority.